Sugar is Killing You, Use these Natural Sweeteners Instead! As we bathe themselves in coconut and fish oils and take every supplement under the sun, most people are coming to the realization that a “cure-all” doesn't really exist. However (and this is a HUGE however) if a “panacea” does exist, it would be completely omitting sugar from our diets! But everything in moderation, right? Nope. Nothing could be further from the truth! Cause skin conditions like acne and eczema. Contribute to hormone imbalance and adrenal fatigue. Deplete your body of natural energy and prevents mineral absorption in your bones. Lead to osteoporosis and arthritis. Second, the real danger of sugar is its ubiquity. It’s literally everywhere. Get your FREE copy of The Healing Art of Aromatherapy mini-course! This is why it's important to consume as many natural, whole foods as possible because they will trigger a gradual, moderate amount of feel-good hormones. Whereas sugary treats will cause a spike, which in turn causes people to crash soon afterwards. Like narcotics, this dramatic fall back to Earth after riding high on the sugar clouds will create an intense craving in your body for another “hit.” Ever wonder why it's so challenging to eat just one cookie or have one slurp of a cola? Thankfully, natural sweeteners abound and kicking the habit can be a cinch if you use these three instead of sugar. #1: It is a natural plant that has powerful healing properties. Of the 350 scientific articles referencing stevia, we are starting to see that stevia can help with more than diabetes and obesity. The journal Nutrition and Cancer, for example, recently published a groundbreaking study showing how stevia can actually prevent and kill breast cancer! (11) Time will tell how truly effective this wonderfully sweet herb can be for our health and wellness. This cornucopia of nutrition has made honey an extremely effective wound healer and has been known to help with irritable bowel syndrome, acne, eczema, MRSA, tooth decay and a slew of other disorders. Both agave and sugar alcohols like xylitol have been praised for being “natural” sweeteners and many health care providers are recommending them because they are low on the glycemic index. First of all, they are anything BUT natural. Secondly, they are quite toxic to the body. Cannot be properly metabolized by humans. Causes digestive issues like gas, bloating and diarrhea. Gets stored in the liver, which can contribute to long-term liver damage. Agave is even worse! A great explanation came from a recent Dr. Oz article where the famed medical celebrity retracted his opinion of agave. After careful consideration of the available research, today I’m asking you to eliminate agave from your kitchen and your diet. Here’s why. When it comes to sweeteners, let common sense be your guide. If it sounds too good to be true, it probably is. Stick with stevia, raw honey and maple syrup – these 3 have been tested by time and science to not only satisfy your sweet tooth, but are also healing and abundant life giving! If you have a history of getting the ‘traditional’ one or two colds a year and/or a bout of flu, then Immu-Stay would be worth trying. The prime objective is to boost your resistance to colds and other viruses, stimulate your immune system to optimal levels, and increase antioxidant activity. It does this by utilizing a complex mix of ingredients which have proven anti-viral properties. Immu-Stay contains ingredients to help build up your immune system and fight off current and reoccurring symptoms. Learn more about Immu-Stay now. Fill out the form below to sign up to our free natural health and healing newsletter and e-zine and stay up to date on our latest articles and informed about holistic healing therapies and effective home remedies for common ailments. 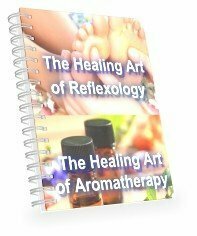 As a thank you for joining our newsletter, we'll also send you The Healing Art of Aromatherapy AND The Healing Art of Reflexology mini-courses – at absolutely no cost! Dr. Eric Zielinski is a natural health educator, motivational speaker, and author. Inspired by the timeless principles in the Bible, Dr. Z’s mission is to provide people with simple, evidenced-based tools needed to achieve the Abundant Life. He specializes in natural remedies and empowering life strategies, and coaches clients locally in the greater Atlanta area and is a frequent contributor to Better Way Health.